Veteran Actor #AnupamKher thinks the raging trend on social media called #TalktoaMuslim is ridiculous campaign. Kher interacted with media in Mumbai when present for the celebration on (CISF) Central Industrial Security Force's 50 years of service. 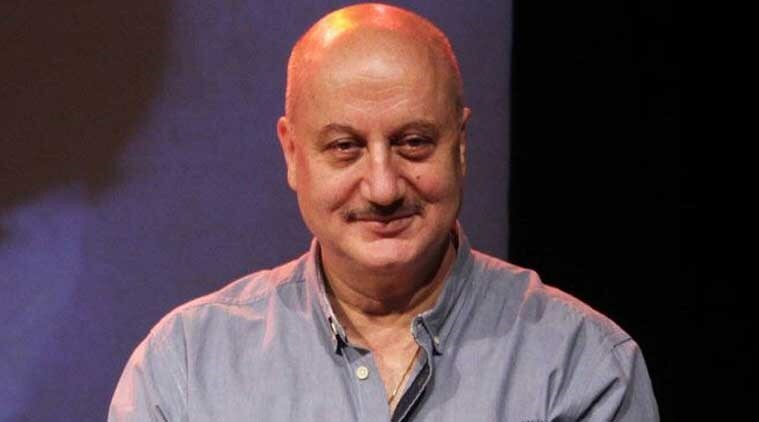 'Talk To A Muslim' is a trending campaign on twitter and many have joined hands to show their support but Anupam Kher with a different opinoin said, "I come from a family that never not told me there are other religions. We have respected all religions. I think it is a ridiculous campaign. To point it out like that, is to make them feel inferior and to me it is a very shameful campaign.But now it is very easy to make any campaign on social media. Every other say something is trending on social media." "We are living in a world of social media anything could turn important, 'I am an India ' should always trend all the time in your life and everyone's blood." he added. While praising and appreciating CISF's contribution to the city's safety he said, "When they approached me a month ago to attend this event I immediately said yes I wanted to interact with these soldiers. They have been working towards our safety for past 50 years. I have seen them interacted with them on airports and I am thankful for their efficiency, politeness, and alertness. We need these kind of security services and it felt great talking to them here." Kher will be next seen in 'The Accidental Prime Minister' as Manmohan Singh along side, Akshaye Khanna features as Baru, and Divya Seth Shah plays Manmohan Singh's wife Gursharan Kaur in the movie. 'The Accidental Prime Minister' is based on a book by Sanjaya Baru, a former media advisor to Manmohan Singh. It is directed by debutant Vijay Ratnakar Gutte, along with Hansal Mehta as the creative producer.